Essential Oils work energetically on many levels. Like the plants they are derived from, essential oils work on the physical level. For example, herbs like peppermint and fennel and the essential oils of Peppermint™ and fennel both help support digestive complaints. 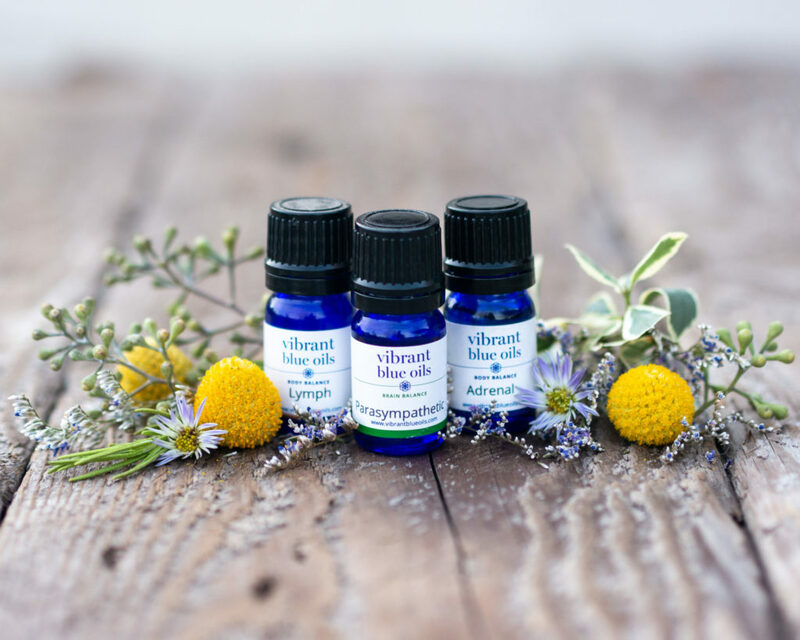 But essential oils can also be combined into blends that work on the energetic level, which is what we are doing with our Vibrant Blue Oil blends. To understand how these formulations work on an energetic level, we need to understand that everything in the universe is made of energy. We know from physics that life is comprised of magnetically charged particles of energy, known as atoms, that literally vibrate in constant motion. We can experience this vibration through our senses as sound (when we literally hear the vibration), color, light, or smell. Every living thing is comprised of atoms that vibrate at a different frequency. The organs in our body have a healthy frequency at which they vibrate. These frequencies help create the blue print of the body, guiding stem cells to develop into different organs. It might also shed some light on how stem cell therapy is so effective.The stem cells have not yet been programmed to match a frequency, so they are in effect a blank canvas. By injecting them into specific organs or regions of the body, they help return that tissue to the original vibratory blueprint and help heal the body. Vibrations like sound, light, color and smell can also be overlaid on damaged or diseased tissue to help it to return to its optimal frequency. This technique draws on the principal of resonance, namely the ability of a healthy vibration (from the sound, color, laser or essential oil blend) to trigger the body to match that healthy vibration/blue print. We see this syncing of energies occur in our daily lives as well. It is one of the reasons that women who live and work together tend to sync on their monthly cycles or audiences clapping will start to clap in unison. We see this in nature as well with crickets that chirp coherently or fire flies that flash in unison. This is the principal of resonance and it is a foundation to how energy medicine works. Everything in the universe vibrates. The rate of vibration is known as frequency. Different organs and tissues have their own unique frequency. While we are all bio-individual, the frequency/blue print of healthy organ tissue appears to be consistent across all individuals. This frequency makes up the blueprint of healthy tissue. Every organ, in which cells of similar vibration have gathered to form that organ, will respond as a group to a particular frequency/vibration/blue print. You can combine the oils of individual plants into blends that match the blue prints of healthy organs and tissue, much as you might mix colors to create a distinct hue. By overlaying the blueprint of the essential oil on the organ/tissue, the principal of resonance occurs, meaning that the diseased or damaged tissue in the organ matches the blueprint/frequency of the pattern of the healthy tissue and starts to return to balance and heal. A similar principal of dissonance, or interference, can also be used. In the case of dissonance, instead of overlaying a harmonious frequency to trigger resonance, you would introduce the completely opposite frequency to cancel the other out. 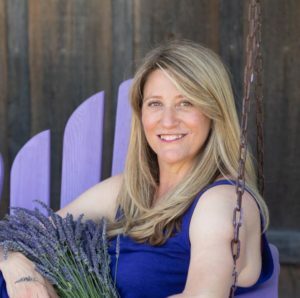 This is the principal at play in homeopathy and what we are doing when we balance inflammation or histamine over-reactions. I hope this helps explain how essential oils work energetically. Please feel free to ask any questions below.